The American Carmaker announced that the 2015 Ford Focus Electric would get a major price cut of $6,000, bringing the suggested retail price to $29,995 – in an effort to compete with the best-selling Nissan Leaf. The electric Focus is now in its fourth model year, and only about 4,000 have been sold since it first went on sale in December of 2011, in compare with about 100,000 Nissan Leaf have been sold out. Earlier this year, Ford had authorized $6,000 cash back on all Focus Electrics. The cut may have been a necessity for Ford to make even the minimum number of sales required under California’s zero-emission vehicle sales rules. 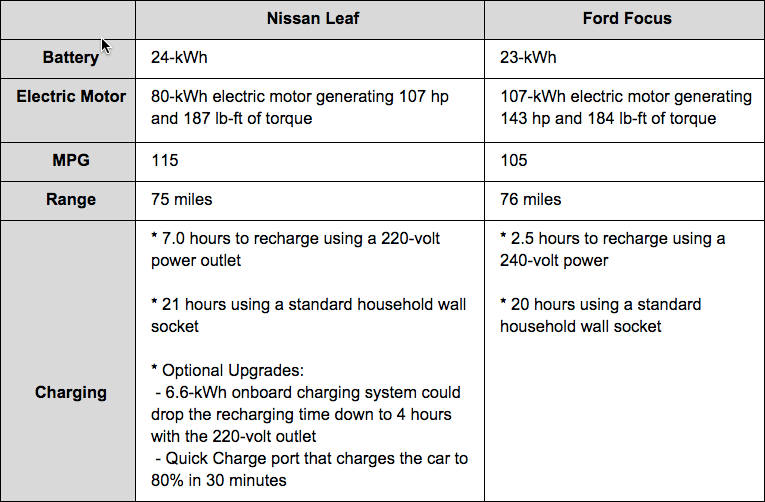 The price cut would seem to lessen any chances that the rumored Ford Focus Energi Plug-in Hybrid model will be launched.